As we enter June we near the end of the first half of a year rich in invention and creativity, as gateways the world over unveil pioneering projects designed to help travellers make the most of their time at the airport and improve the overall passenger experience. Here, Airport Business outlines its Top 10 airport innovations of the year so far. 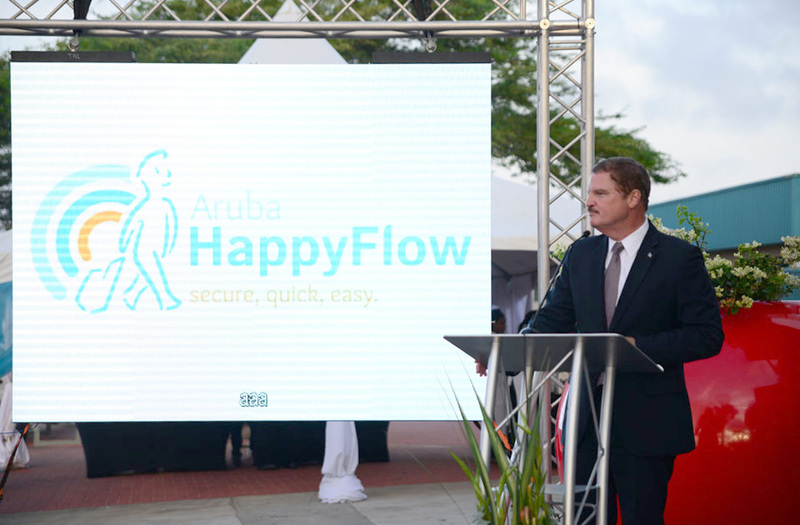 The first of its kind Aruba Happy Flow project – in which biometrics are used as the key identifier at all airport checkpoints – was launched at Aruba Airport in May. The pilot project, which will run for the next two years, will see facial recognition technology used to identify passengers at check-in, bag drop, border control and aircraft boarding. Once the passenger’s passport and facial image have been linked at the initial check-in stage, they will not have to show their passport or boarding pass again before boarding the aircraft. The project is the result of collaboration between Aruba, the Netherlands, Aruba Airport Authority, Schiphol Group and KLM, while electronic identity solutions specialist Vision-Box has been awarded the tender to implement the project. Aruba’s Prime Minister Mike Eman heralded the launch of the pilot as “an extremely innovative and important step in the transportation industry for passengers, not only for Aruba, but worldwide”.